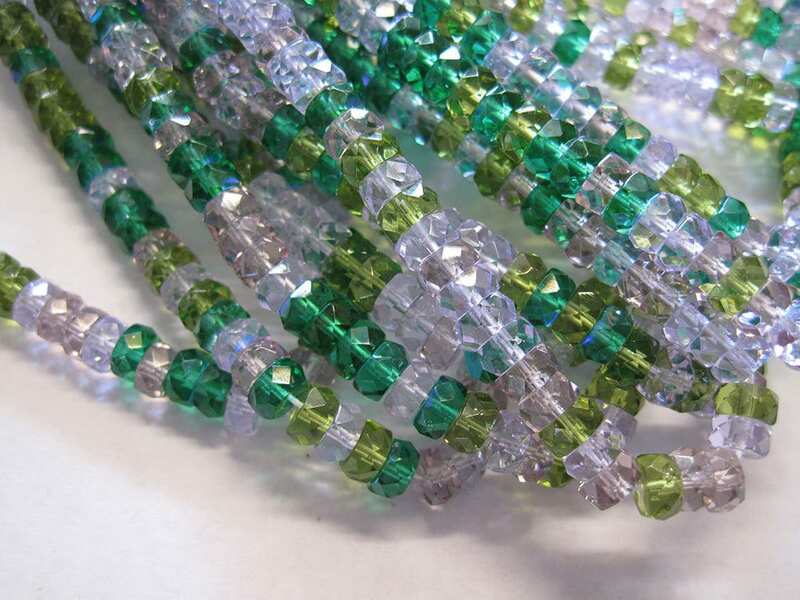 One strand of lavender garden mixed Czech fire polish faceted crystal rondelle beads measuring 3mm x 6mm. 60 beads per strand. Mixed colors and shades of purple and green! Add some sparkle to your jewelry creations!